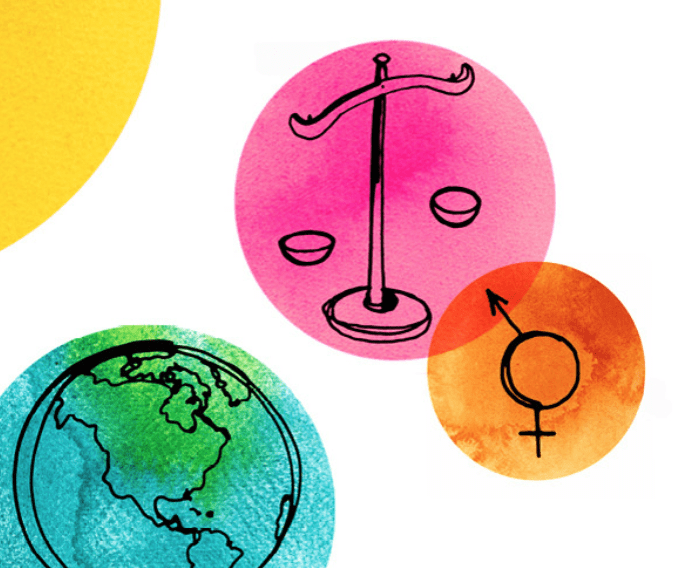 The Gender Equality Initiative in International Affairs (GEIA) convenes the Elliott’s School’s curriculum, scholarly research and engagement in the policy and practice of promoting and achieving gender equality globally. Gender is increasingly recognized as a critical concept in fully understanding processes of globalization and international development, international politics and international relations, and the nature and impacts of humanitarian crises, violent extremism, war and peace-building. Click Here to view an interactive Prezi of GEIA’s vision. The study of gender is the study of the power that gender roles, relations, symbols and the gendered social order have in proscribing and shaping identities, the ways that we live our lives and the ways that institutions and political, economic and socio-cultural systems operate. Discrimination on the basis of gender norms, and hierarchical orders of masculinities, femininities and sexualities, give rise to gender inequalities that influence the enjoyment of human rights, and access to and decision-making power over resources and institutions. Through the Gender Equality Initiative in International Affairs, the Elliott School equips future international affairs professionals with the knowledge and skills to apply a gender lens and to advance gender equality through broad areas of their future professional careers.